. The graph of function P is shown in blue. 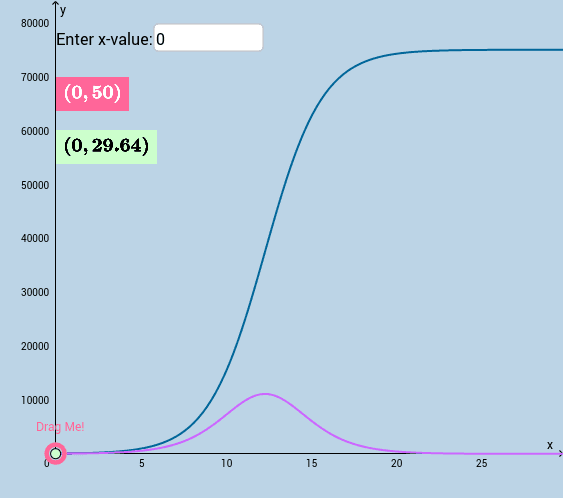 The graph of function P' is shown in purple. Interact with this applet for a minute, then answer the questions that follow. What are the units of the y-coordinate of the PINK POINT? Use calculus to algebraically determine the time at which the bee population was increasing at the fastest rate. Then use the applet to estimate the value of this fastest growth rate.